Are 11 days enough to truly get to know a car? We say, almost. Sure, touching and experiencing an automobile for several hours will give you its first impressions on what to expect from it. But live with it for more than a week, and you’ll get to see if the vehicle is able to integrate with your lifestyle and daily needs. We got to drive the new Mercedes-Benz A 200 recently for exactly 11 days, so hear us out when we say that it’s a car that is perfect for city-dwellers. 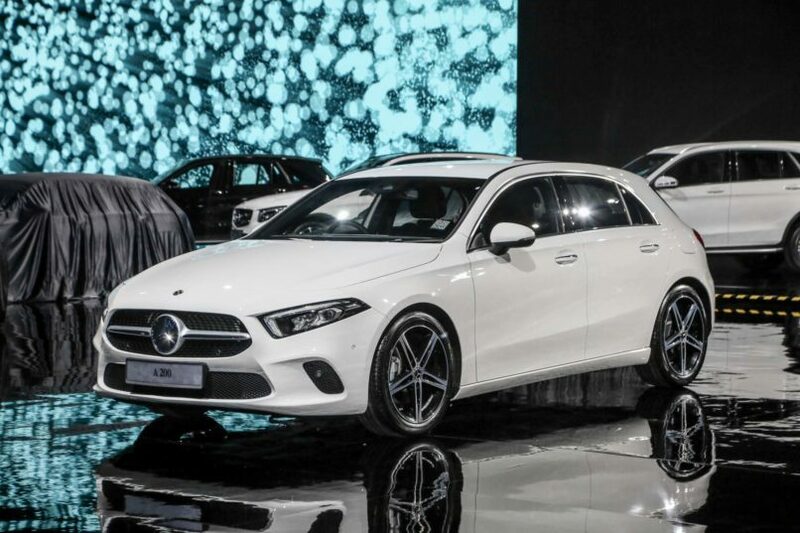 The new Mercedes-Benz A 200 Progressive Line is one of the two A-Class hatchbacks that were brought into Malaysia last October, having been introduced to the world during the Geneva Motor Show 2018 a year ago. These zippy premium hatchbacks are currently the smallest ones from Mercedes-Benz’s portfolio, but its stature is exactly the reason why it fits on the city’s congested roads — and its tiny parking lots. Exterior-wise, the A 200 has undergone a major facelift. The front end of the car is much lower with narrower headlights, while the rear now has twin exhausts for a sharper look. The A 200 now comes with LED High-Performance headlights with auto high beam, best for those stretches of highways that have faulty street lights. Perhaps one of the most convenient features of the A 200 is the Intelligent Drive, which prompted us whenever we were too close to any object or vehicle surrounding the car. While the car doesn’t have the Active Blind Spot Assist feature on the side mirrors, the sensors around the car are assistive enough to alert you before you crash into a lamp post while doing a parallel parking. But of course, you wouldn’t necessarily need that when you have Active Parking Assist, which helps manoeuvre your vehicle into your selected parking space. 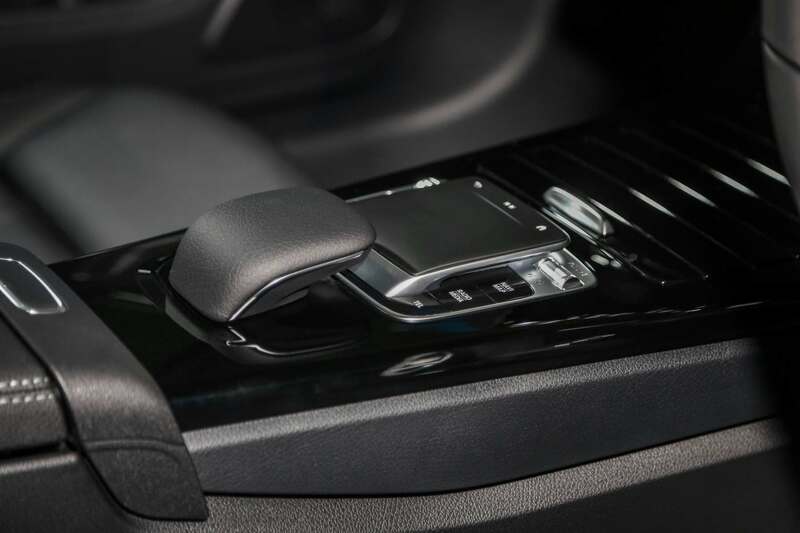 If you’re one to have your attention wander during heavy traffic, this feature will come in handy: Active Brake Assist. Not only will the A 200 brake automatically if you come dangerously close to rear-ending the car in front of you, but it also alerts you when the car in front suddenly stops when you’re in relatively close proximity. With the famously-congested roads in Klang Valley, this feature certainly helps to prevent fender benders. 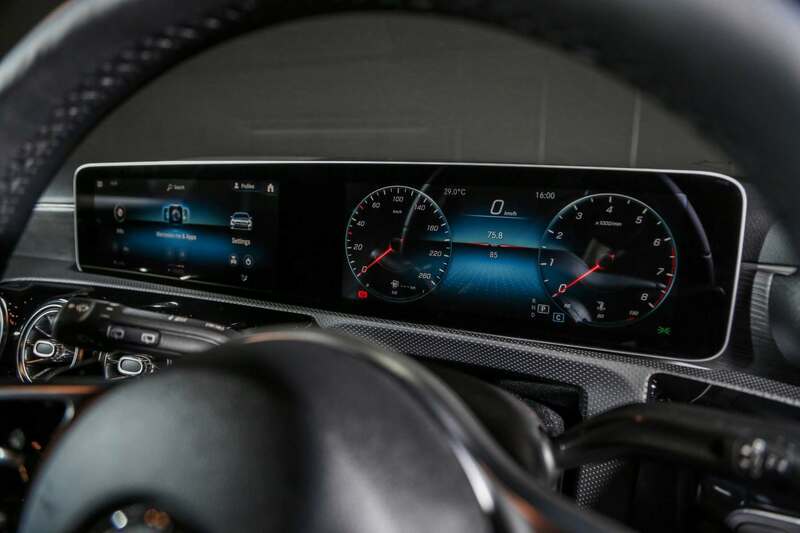 During the course of our 11 days with the A 200, we got to play around with the new Mercedes-Benz User Experience (MBUX) infotainment system with a Linguatronic voice control system. It is precisely as it sounds like: Siri in a car. A simple “Hi Mercedes” — or similar-sounding prompts — will awaken the AI. Use it to look for your saved navigations in the car, radio, climate control, or even to call someone in your contacts list and show off. The MBUX has built-in machine learning capabilities, meaning that in time, it will be intuitive to your requests. The scroll-wheel has also been upgraded to a touchpad, in addition to the infotainment screen having touchscreen capabilities. 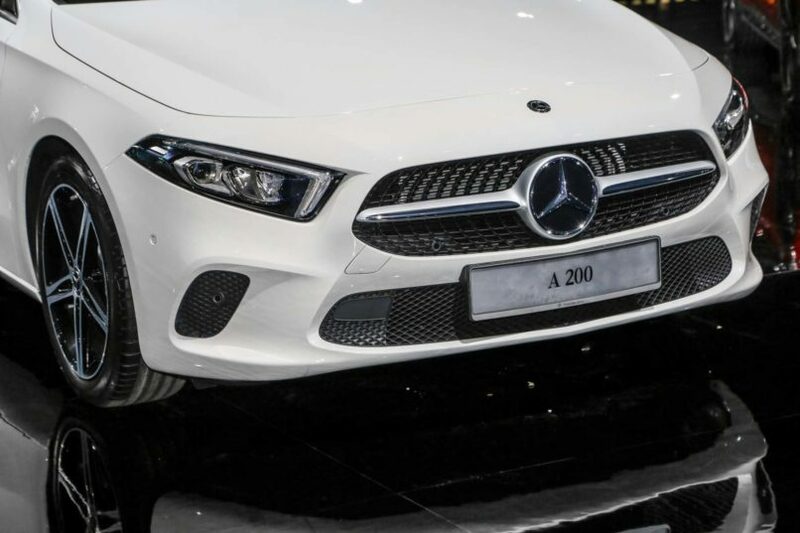 The new A 200 is given a facelift: lower front ends and narrower headlights. All these features are but bonuses to the experience of driving the car itself. To fit into the smaller car, Mercedes-Benz partnered with Renault to design the smaller 1.33-litre M282 four-cylinder turbo engine, which results in 163hp and 250Nm of torque. When paired with the new Getrag seven-speed dual-clutch transmission, the A 200 is able to achieve a top speed of 225kph as well as going from 0 to 100 in eight seconds. Our 11 days with the car coincided with the Chinese New Year exodus, which meant that we were able to cruise on the highways of Klang Valley effortlessly. 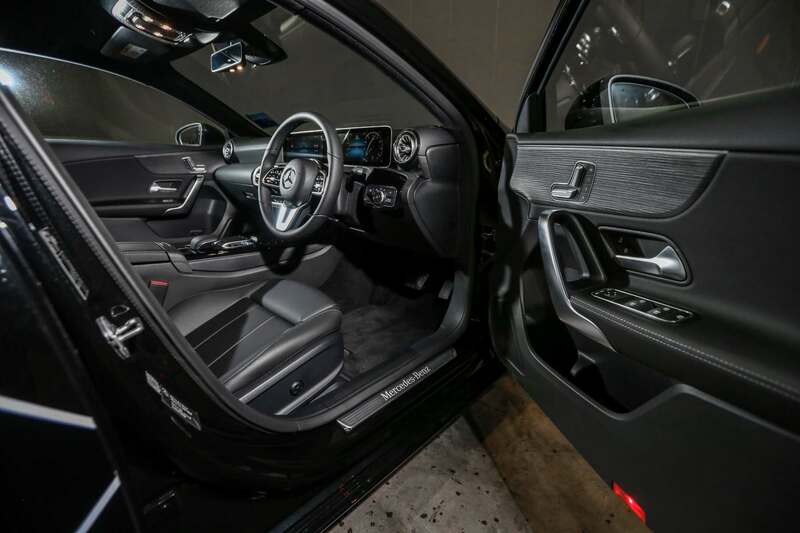 Whether stuck in traffic, cruising down the highway, or struggling with the tightest parallel parking spot, the Mercedes-Benz A 200 served us well. 11 days may be a long period to drive a car that doesn’t belong to us, but it was enough to make us want more.